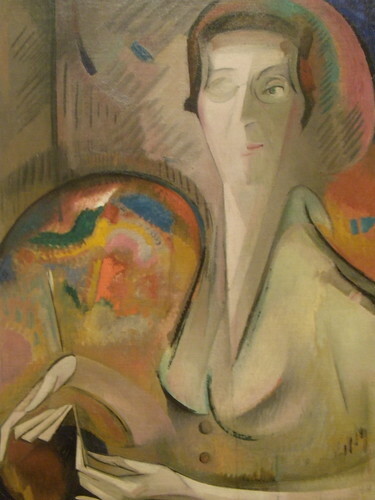 Alice Bailly Self-Portrait 1917. Photo by Wayne Stratz. Really lovely. I love the colors and the shadow detail. Love this. I’ve never seen Alice Bailly’s work before. Thank you for sharing. THAT is beautiful!! Love your work! (And thanks for stopping by!) Have a great Friday! I had never heard of Alice Bailly either, but I love this portrait, and like you Topiary Lady, I noticed how cool her hands are! Dawn–Thanks for the kind words about my work! That’s neat that you studied ceramics. 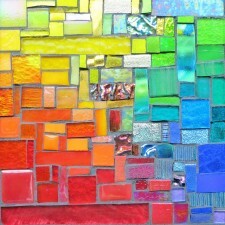 Hopefully, your life will flow toward making something with the broken pieces–it is so much fun!